I'm a city girl from farm country who studied particle physics, before ditching science for a lucrative (ha!) career writing books. These days I write SFF novels for young adults, and poetry. My first novel, PLAIN KATE, was published in 2010 by Arthur A. Levine books at Scholastic in the United States, and by Scholastic Canada. It also came out as WOOD ANGEL from Chicken House in the UK. 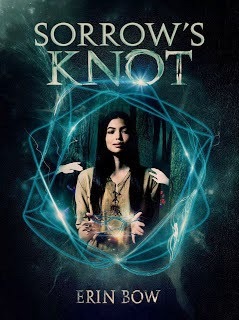 I've got a new novel, SORROW'S KNOT, coming out in October. I'm married to another YA author, James Bow. We have two girls, whose internet handles are Ninja Princess Scientist (she's seven) and The Owlet (she's five). We are massive geeks, mild activists, and very happy. I think the summary is very intriguing and I look forward to reading it.